You no longer have to be physically present for physical therapy — Porto/San Fancisco-based SWORD Health has developed the world’s first AI-powered digital physical therapist. After an assessment of rehabilitation needs, the clinical team prescribes a tailored programme which the patient can take home. A high-precision motion tracker is strapped on to the patient, which wirelessly communicates data to the virtual therapist. The digital therapist is then able to guide the patient through the correct exercises remotely, making sure that they are performed correctly. With the ambitious aim of eradicating disease, Prognos (formerly Medivo) uses AI and advanced data analytics to help predict disease at the earliest. They have a huge laboratory network with access 13 billion patient records, and this data is enriched before AI is applied to it for actionable insights. This registry helps identify patients at risk and develop tailored treatment plans. Prognos also provides a solution for payers, who can use analytics to assess risk populations/members and identify “care gaps”. Flatiron Health is an oncology-focused electronic health records (EHR) company that aims to accelerate cancer research and improve patient care. 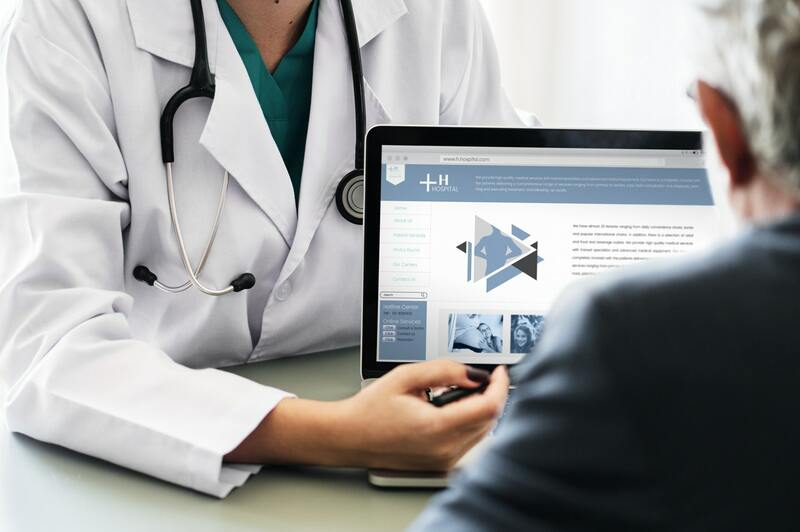 They offer an EMR system that reduces time and cost, an analytics platform that helps derive relevant insights from data, and a service that screens patients for eligibility for clinical trials. They work with hospitals, community clinics, academics and life sciences companies. Backed by Alphabet, the company was bought over by Roche in early 2018. This San Francisco-based startup offers a fertility hormone test that women can take at home. You just have to take a simple finger-prick test and return it through the mail for a physician-approved report about your hormones and a fertility profile. The company partners with Quest Diagnostics, which has 2000+ centers in the US. Founded by two former Uber and 23andME execs and launched at Y Combinator, the company raised $6 million in May 2018. California-based DayTwo analyzes your gut microbiome, based on which it offers personalized nutrition advice. You provide a stool sample and a blood test result, the company profiles your gut microbiome at the genetic level, based on which it recommends what foods you should and shouldn’t eat. It secured $12 million funding in 2017 from Johnson & Johnson, Mayo Clinic, and other investors. UK-based Babylon Health enables users to have virtual consultations with doctors and healthcare professionals through video/audio and text messaging. It’s AI-powered chatbot can make recommendations and diagnoses, and aims to be an alternative to the NHS’ 111 service. Its investors include DeepMind’s founders; the company raised $60 million in 2017 and claims that its AI system is on par with human docs. Not too long before we start consulting AI GP’s! Yet another company tapping into the power of AI, Arterys calls itself “the AI assistant to radiologists”. This San Francisco-based company offers an FDA-approved oncology AI software that helps radiologists measure and track tumours in MRIs and CT scans using a simple browser — and the aim is more accurate, faster cancer recognition. The software uses deep learning to detect lung and liver lesions, with an accuracy that’s equal to segmentations performed by human experts. Arterys completed a series B funding of $30M in 2017. This London-based company provides in a mobile application that enables community-based diagnoses in the elderly and in children (under 5). It uses data collected from digital stethoscopes and wearables. Intelligent algorithms extract insights from this data and drive diagnosis and disease prediction. One of their main applications is the detection of childhood pneumonia through a digital stethoscope which connects to the Feebris platform. Feebris won the Big Ideas competition in April 2018 and was awarded £10k funding and RGAx mentor support. DrDoctor, based in the UK, helps patients book appointments in clinics, by tapping in last-minute cancellations. It automatically identified unfulfilled slots in hospitals and offers them to patients on waiting lists. DrDoctor partners with various NHS hospitals and is used to book over 4 million appointments a year. It received £15K the year it was founded, in 2012 and was granted NHS funding in April 2018. This San Diego startup focuses on enhanced clinical communications and workflows for improved patient care. Their platform PatientTouch combines text, talk, EMR data, alerts, and more, into a mobile app. Real-time data (which is prioritized) helps ensure that the right decision is taken and that the right care is delivered to the right patient. The company closed a $25 million round of funding in 2017. Healthcare is an industry in which a huge amount of data is generated as well as collected every day. With the help of data science, machine learning and AI, we are now able to analyze this data and extract meaningful insights which will pave the way for bigger medical innovations. With the digital revolution taking over, the industry continues to grow at a furious pace. Got more to add to the list above? Comment below or Tweet to us. 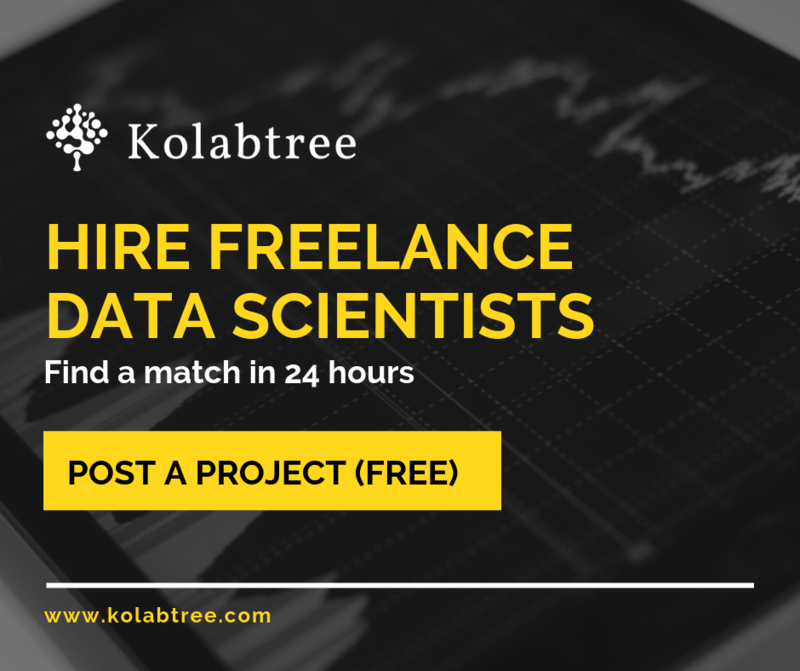 Kolabtree is a platform that helps you hire freelance scientists from institutions like MIT, Cambridge University, Harvard University, etc. Get in touch with a healthcare consultant or data analyst. It’s free to post your project and get a quote!